2017 was an "excellent" year and in 2018 growth is "assured", despite some unknowns. The Portuguese Convention Bureaux believe, given this year's evolution, that the Meetings Industry (MI) sector will continue to grow in the coming months. In response to questions sent by Event Point, those responsible for tourism structures in four Portuguese regions took stock of 2017 and looked at what 2018 will look like. Lisboa is booming and this sector proves it. Paula Oliveira, Turismo de Lisboa executive director, expects 2017 to have closed with "excellent results, due to the quality and number of events held for both Corporate and Associative segments". As of August last year, the region experienced "strong growth" in the US, Brazil and UK markets, with MI accounting for about 12% of hotel guests for conference and meeting attendees, she added. Lisboa is expected to have received about 7.6 million tourists in 2017. Further south, Turismo do Algarve believes that "the balance will certainly be very positive". Alexandra Ramos, MI's senior manager of tourism structures for the region, highlighted that "the Algarve has been earning increased visibility" in this segment. Hotels and congress centres grew in "number of events and, in a global way, the whole region won with the evolution of the segment. It is also important to highlight the increase in DMC and Tourism Animation companies dedicated to this sector" in the Algarve, she mentioned. In Porto there is a similar situation. Sandra Lorenz, Interim Director of International Promotion of Porto Convention & Visitors Bureau highlighted "Porto rising 11 positions in the ICCA ranking, as well as the award of the European Best Destination award for the third time to the city. She added that the region has "more and more venues and large restaurant areas that allow a proper response to increasing demand, such as Exponor, Europarque or the Exhibition Park of Braga and the future Rosa Mota Pavilion, which will be ready in 2019". In addition, Sandra Lorenz stressed "a clear growth in the area of tourism-related companies, transportation and event support services." In parallel, new air routes to China and the US will help increase the region's notoriety, as well as the creation of "synergies and projects between the Porto Convention & Visitors Bureau and the local scientific and associative communities, with regard to capturing major international congresses in various areas," said Sandra Lorenz. The Alentejo region has been working to increase its reputation in the IM sector. "The year 2017 was particularly positive for the sector in Alentejo, with incentives, corporate events and others to be highlighted," commented Vítor Fernandez da Silva, chairman of the Alentejo Tourism Promotion Agency. 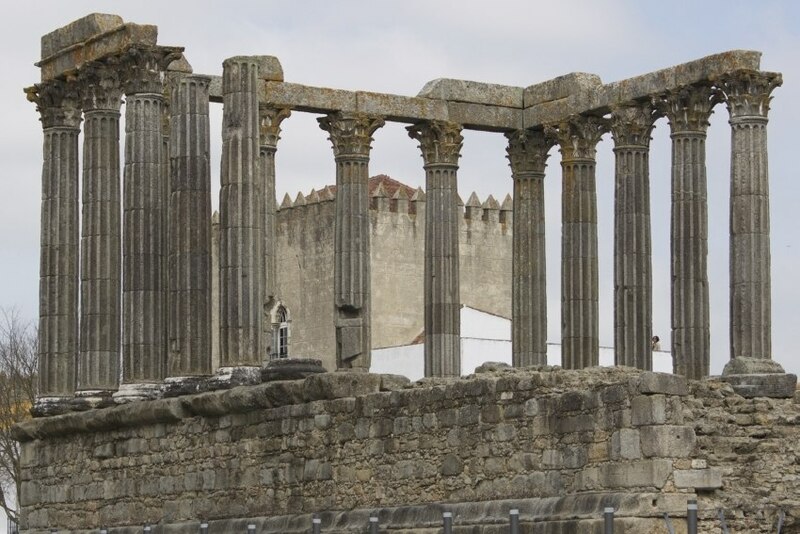 In the congress area, Alentejo "hosted dozens of medium-sized meetings, mainly concentrated in the region of Évora and Tróia, with a strong incidence in hotel occupancy," he said. In this last location were held around ten congresses with more than a thousand participants. The Alentejo has recoursed to a congresses and other corporate events fund "with a very positive effect for the destination", Vítor Fernandez da Silva emphasised. The region admits, however, some difficulties "in hosting large events, especially if they have more than a thousand participants". This year is seen with very good eyes by all the regions, although with some warnings. Lisboa believes that it will continue its consolidation "as one of the most appealing destinations for international events, with good value for money, at the level of services and equipment including hospitality, accessibility, diversity in experiences, unparalleled knowledge of receiving and excellence in organisation”, Paula Oliveira mentions. In the Algarve, and taking into account the requests that the region already has, "everything indicates that the growth trend will continue. The region will be provided with some new spaces, such as the Algarve Congress Centre, which will not only increase the installed capacity to accommodate larger events, but also enhance the attractiveness of the destination," says Alexandra Ramos. Despite this, the head of MI Algarve believes that one must be "alert and prepared for the recovery of Greece, Turkey and Tunisia." The Algarve region, she added, could "significantly enhance the attractiveness of the destination, we just needed more direct flights from big companies." The issue of air accessibility also concerns Porto and North. Sandra Lorenz points cancellation and reduction of air routes as a daily concern and adds that 2018 "will undoubtedly be a year of challenges. We are challenged to grow sustainably, keep up with demand and develop the sector, monitor trends, create more hotel units - we know there will be at least another 19 in the next few years - and more companies that can meet current demands." Porto and North also intends to establish a position in this sector, "participating in more international fairs" as well as increasing the number of famtrips in emerging markets and investing in substantial growth in the incentives area, as a result of the increase in the American, Brazilian and Chinese markets, the stopover program, and the increase in the number of nights at the destination due to the diversification of routes and respective tourism offer at the destination," she concluded. In Alentejo, 2018, with congresses and events already on the agenda, will be a "year of assured growth" in which the region will once again count on the contribution of the fund, said Vítor Fernandez da Silva. The region also noted the realisation of "other types os events, especially the presentation of new car models of very qualified brands, for its duration and positive impact in hotels," added the Alentejo Tourism Promotion Agency president.